Special Containment Procedures: Foundation personnel assigned to SCP-2202 are to monitor their allocated region for instances of SCP-2202, utilizing eyewitnesses or online media reporting sightings of unusual blue light emanating from apartments. When one or more instances of SCP-2202 are confirmed to have manifested, a field team is to be sent to secure the affected apartment(s), under the guise of housing staff addressing a gas leak. The affected apartments are to be cordoned off for the duration of SCP-2202, and the incident well-documented. An apartment affected by SCP-2202 may only be entered after the anomalous instance's properties have been determined. Upon conclusion of an SCP-2202 instance, affected occupants of the apartment are to be detained, searched, and interrogated. Occupants may be released following a dose of Class-A amnestics. 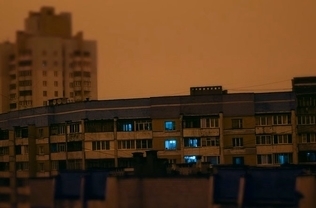 Description: SCP-2202 is a phenomenon affecting residential apartments located in Asia. When SCP-2202 occurs, affected apartments will undergo a drastic change in internal environment and climate. This change results in the interior of the apartment taking on the characteristics of various natural scenes, from dense tropical jungles to frigid tundra wastelands. In all manifestations of SCP-2202, the resultant environment only contained natural landforms and wildlife, with a lack of civilization (buildings, cities, etc.). To date, no humans have been found to manifest in an environment created by SCP-2202. Any environmental samples (biological material, rocks, etc.) manifested by SCP-2202 removed from the apartment will immediately undergo a complex chemical reaction, expiring and/or collapsing into dust. Living things manifested will not leave the apartment without physical interference. The exterior dimensions of the apartment will not restrain the interior space created by the anomaly. External surroundings of an apartment affected by SCP-2202 will not exhibit any anomalous properties. Changes caused by SCP-2202 can only be viewed or interacted with by outside observers through the front door of the apartment. While SCP-2202 is active, exterior walls of the apartment (including the front door) will be rendered effectively indestructible. Rooms visible through windows from outside the building will appear to be physically unchanged, apart from being dimly lit by a luminescent blue light. The apartment affected will be inaccessible from any entrance apart from the front door for the duration of SCP-2202. SCP-2202 events manifest only when the current occupant(s) is inside the affected apartment. Individuals affected by these events, however, have displayed little to no shock or resistance to the environment generated by SCP-2202. Reports show that occupants exhibit a 'resistance' to negative effects in these environments, being unaffected by change in temperature to a certain extent and sustaining no injuries from environmental hazards. As of yet, agents have been unable to make contact with or locate any occupants inside the instance while SCP-2202 is active. During an SCP-2202 event, affected occupants will be able to roam freely in the environment manifested. When interviewed, they describe their experiences in the environment as "calming" or "soothing", and helpful for stress relief. Upon SCP-2202's conclusion, occupants will seemingly "reappear" in the living room or primary living space. Individuals who are not occupants of that apartment that enter it during an SCP-2202 event do not experience the same "benefits" from the anomaly as the occupants, and are liable to receive harm from the environment. SCP-2202 events typically last between 2 to 4 hours. Any "outsiders" entering the environment that remain in the apartment when SCP-2202 concludes will experience a brief lack of consciousness, before reawakening in the same area as the occupant(s). People viewing the SCP-2202 scene from the front door will experience a temporary loss of vision, before regaining it once SCP-2202 concludes. Regardless of the environment generated, the affected apartment will revert to its usual state upon SCP-2202 concluding. 17 Instance showed the appearance and climate of a jungle located in ██████. Instance contained the appropriate amount of wildlife, including plants and animals. Samples of plants and animals that were taken out of the apartment expired immediately, and collapsed into dust. Foundation personnel that exited this instance were covered in patches of dust, hypothesized to previously be traces of small leaves, twigs and soil. Instance concluded without further incident. 38 Instance showed the appearance and climate of a polar region. Contrary to expected temperatures for the region, the temperature was recorded at an extremely low -80°C . Agent ████, who entered this instance prior to its effects being properly established, collapsed after entry due to the temperature. Agent ████ was soon retrieved. Although alive, he displayed signs of severe hypothermia and was promptly given appropriate treatment. No other attempts to enter this instance was made. Instance concluded without further incident. Agent ████ made a full recovery the next day. Due to the extreme temperature not found in any other region on earth, Doctor ████ hypothesized that the locations manifested by SCP-2202 are of a "parallel earth". Of note, the occupant of the affected apartment stated the temperature felt "nice and cold, instead of the terribly hot weather in █████████." 62 Instance showed the appearance and climate for a cave, which appeared to be composed of limestone, hypothesized to be a cave located in South America. The environment appeared to be partially submerged. Organisms such as Eurycea Rathbuni (Texas blind salamander) and other troglobites were observed. Attempts to remove them resulted in said instance expiring and collapsing into dust. Instance of SCP-2202 concluded without further incident. The occupant of the affected apartment claimed the time spent inside the cave to be the "best and most thrilling thing ever". 143 Instance showed the environment matching that of the Great Barrier Reef in the Coral Sea. Water appeared to stop flowing at the door, holding its form at the entryway. Personnel equipped with appropriate diving material entered this instance and observed the expected corresponding living organisms within. It is to be noted that a team of Foundation agents in Australia tasked to search the Reef for signs regarding this instance reported that the Reef displayed no abnormalities and were unable to locate this instance, further strengthening Dr ████'s theory. Instance concluded without further incident. The occupant of the affected apartment stated later, "I always wanted to go there!" Foreword: Mr Jones is employed as an English teacher at █████ High School, with a 60 hour workweek. His last vacation was in 20██, 3 years ago. He is the occupant of an apartment affected by an instance of SCP-2202. This instance of SCP-2202 manifested a typical rainforest, and lasted approximately 3 hours and 20 minutes. Dr ████: Good afternoon, Mr Jones. I'm here to ask you what happened in your apartment recently. Please answer our questions as best as you can. We seek your cooperation in this interview. Dr ████: Firstly, how did the event occur? Jones: I don't really know how to describe it. One moment I was on my couch, and… you know those shows where the character blinks, and the surroundings change? Well, I closed my eyes and when I reopened them, I was in this forest. Dr ████: And you didn't find this out-of-place or disturbing? Jones: In hindsight, I should have immediately freaked out. But in that moment, I felt like… I knew what was going on. Jones: It was like I knew what happened. I had some long and tiring days at work, and… it sounds weird, but I just knew that that forest was a sort of vacation for me, for me to take a break, for me to rest. Sorry, but I don't know how else to phrase it. I just knew it. Dr ████: That's alright, thank you. Secondly, what did you do and feel in the forest? Jones: I just sort of strolled around the place. I remember feeling really calm and at ease. The insects chirping, leaves rustling, and even the occasional squirrel or monkey. I felt very relaxed, and suddenly my job didn't seem so taxing. Like I was refreshed and ready for a new day of work. Dr ████: What happened afterwards? Jones: After a few hours of walking, I suddenly felt a little dizzy. I sat down by a tree and closed my eyes for a few moments… when I looked around me again, I was on my living room floor, and there were a bunch of guys in black sitting around me looking stunned. Dr ████: Thank you, that should be all. Do you have anything else to add? Jones: Between closing my eyes and looking around me again, I heard this voice. It sounded like those spokeswomen advertising stuff on TV. It said something along the lines of "Thank you for enjoying the free trial! If you enjoyed it, consider signing up for the full package!" Afterwards, the guys searched me and found a piece of paper. Funny, I thought my pockets were empty. Hey, sir? Jones: I assume you know something about what's going on. Can I do it again? Frankly, I enjoyed it a lot. Closing Statement: Mr Jones was given a dose of Class-A amnestics following the interview and released to resume his usual life. It is noted that vocalizations were also reported by Foundation personnel in affected apartments upon SCP-2202's conclusion. Some lines of specific interest were, "Are you curious for a free trial too?" and "Sorry, we weren't able to cover you with insurance since you came unexpectedly!" "Bringing the vacation right to your doorstep"
The provided e-mail address has been confirmed invalid. No such mailing address exists, and consulting phone companies has revealed that the number is not, and has never been, in service.